From time to time, under conditions of great secrecy, the satchel would be brought down and my brothers and I would be allowed to rummage through it as my parents told us stories of their harrowing experiences during the war. We would look at photographs of friends and family “lost” in the conflict, or during the massacres of Igbos that preceded it. We would marvel at the lightness of the Biafran coins. I don’t remember my parents explicitly saying it, but somehow it was communicated to us that the satchel and its contents were not things to be discussed outside the family home. That evening, as on the phone I described my feelings watching Biafran refugees fleeing the university town of Nsukka to my mother, who had herself fled the town with my father and elder brother in 1967, she said “I am glad that our story is going to be told, that the world will remember”. He roams from the story of how Nigeria came to be, to his schooldays and burgeoning friendships with prominent figures like the poet Christopher Okigbo, whose presence looms large through the book. Interspersing the historical account is the story of his father, one of the early Igbo converts to Christianity, and his experiences growing up with newly Christian, trailblazing parents caught between the old traditions and cosmology of the Igbo people and the new Christianity. The personal glimpses into his early life are hugely enjoyable and indeed tantalizing – often outlined so succinctly, that he leaves the reader greedy for more detail. Approaching the events leading up to the war - the descent of the first post-independence Nigerian government into an abyss of corruption and misrule; the role that the colonial government played in setting the stage for this descent and the first military coup in 1966 – he acquires a less personal and more straightforward recounting tone. This continues until the latter part of the book, when he begins to describe the counter-coup of July 1966, the massacres of Igbos that followed the coup, the failed attempts at negotiating peace and the subsequent declaration of independence and the harrowing consequences that followed. He also highlights the role played by Western countries and the international community. And he challenges the popular perception that General Gowon’s “No Victor, No Vanquished” policy at the end of the war in 1970 led to the successful re-integration of the Igbos into Nigeria, highlighting the egregious government policy which wiped out the savings of every Biafran who had operated their bank accounts during the war with an “ex- gratia” payment of just 20 pounds. He is also laser sharp in his conviction that part of Nigeria’s problem stems from its anti-meritocratic suppression of the Igbo people, and the refusal of the country to face up to insalubrious aspects of its history, issues that he argues continue to haunt it. The book could benefit from a closer proof-reading and fact-checking process by an informed editor. Irritating errors crop up like “maul over” for “mull over” “deferral” for “federal”, “Iwe Ihorin” for “Iwe Irohin” and St Elizabeth’s Hospital for Queen Elizabeth Hospital, but these do not detract from Achebe’s attempt to present, from his perspective, an account of those dark days. As he says in the book, “My aim is not to provide all the answers but to raise questions and perhaps to cause a few headaches”. It is clear that this is his book, his view and his own particular nostalgic ramble. Ultimately, it is important that he has shared it, warts, unevenness and all. 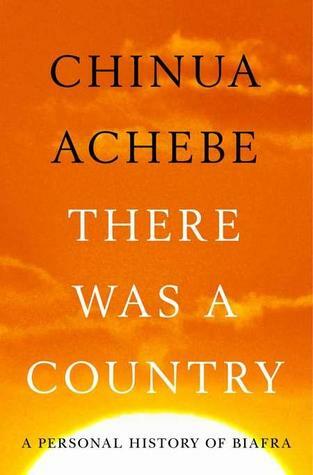 In doing so, Achebe has helped bring the contents of my parents’ brown satchel back into the open.